The wearable technology is relatively new, but its implications are limitless. It is revolutionizing the way people live their lives. From healthcare to personal well-being to education to workplace productivity, this technology is staged to improve the lifestyles of people worldwide. Wearable technology is the future. This electronic technology is a power to reckon with. The devices are transformed into items that can be comfortably worn on a body. They are designed and calibrated to track information on a real-time basis. The motion sensors embedded into the devices take a snapshot of your day to day activities and sync them with your mobile devices or laptops. If you want to improve the quality of your life, you need to invest in smart wearable tech gadgets. If the cost is in the way, finance is easy in the form of a consumer durable loan. Let’s look at the different ways these wearable tech gadgets are set to improve your work and life aspects. 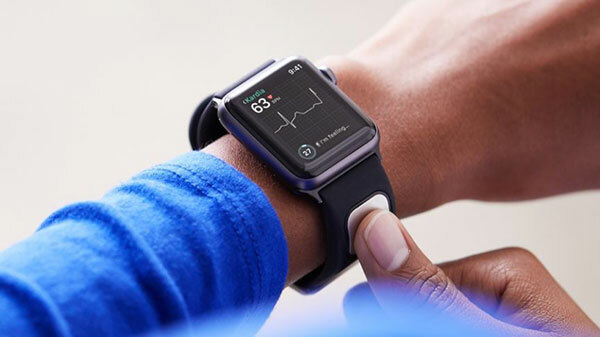 Studies show that wearable tech gadgets influence workplace productivity. A study showed that people who wear wearable health devices eats and sleeps well. Their sound physical health has a profound effect on their productivity. T-shirts are designed for players to warn of the danger of pulling a muscle or tearing a ligament while playing. For the elderly population, wearable technology has developed shirts that can monitor the vital signs and underwear that can alert nurses about accidents. Just like a bandage is used to cover a wound, a smart device is being designed to cover the wound and relieve pain. Wearable technology has found its way in the education sector as well. New devices are designed to help students and teachers with their everyday tasks. It’s creating an opportunity to enhance learning and impart knowledge like never before. Gaming – Virtual Reality (VR) is geared to change the gaming experience altogether. Quality of music – With wearable devices in the picture, the demand for higher quality audio is on the rise. Sports and recreation – There’ll be GPS for golf, tech gadget to track your swimming performance, etc. The biggest challenge the wearable industry could face is sustainable customer engagement. And the most exciting part of wearable technology is its potential. The current benefits will improve making way for better technology to take control. It’ll be a truly exciting phase to see how wearable technology unfolds in the future. When this technology is used to its maximum potential, it is sure to change the world like never before. Shiv Nanda is a financial analyst who currently lives in Bangalore (refusing to acknowledge the name change) and works with MoneyTap. Shiv is a true finance geek, and his friends love that. They always rely on him for advice on their investment choices, budgeting skills, personal financial matters and when they want to get a loan. Smartwatch Update: What's Your Best Choice For 2016?